I would have to say this is one of my favorite minifigs of all time. Not only do I really like the character but I love the way he looks in LEGO form. He includes a removable gun that hangs over his shoulder and nice flip-up helmet. 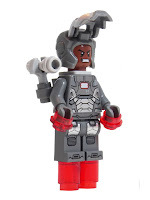 He is only available in LEGO Set 76006 - Iron Man Extremis Sea Port Battle. 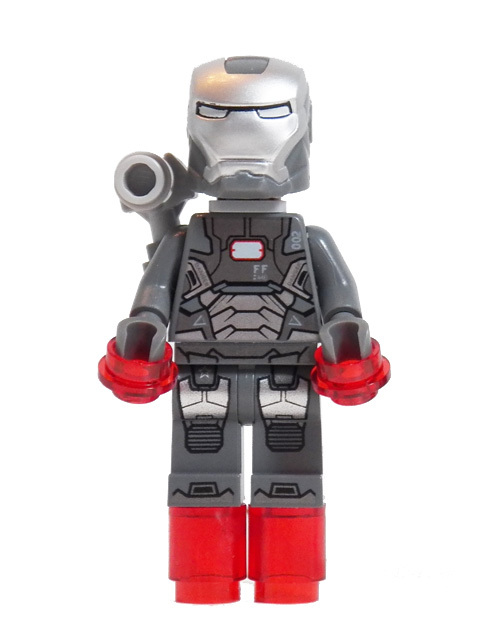 The set also includes Aldrich Killian (Glow In The Dark) and Iron Man with Mark 42 Armor. Its currently available on Amazon for $19.97 with Free Shipping when you spend more than $25. I really recommend you pick this one up just for this minifig alone.